Based on the follow-up to the blockbuster original movie, Pirates of the Caribbean: Dead Man/'/s Chest has players as Captain Jack Sparrow, Will Turner and Elizabeth Swann as they explore and brawl across land and sea on a memorable quest in search of the legendary Dead Man/'/s Chest. The games will not only feature thrilling moments from the movie.. The arcade classic is back! And Tron is even better this time around with enhanced graphics, CD-quality sound and two-person multiplayer. Battle as mighty video warrior Tron against the insidious Master Control Program and his ruthless right-hand man, Sark. Tron offers a retro-futuristic test of gaming ability. Race life cycles, demolish tan.. The arcade classic is back! 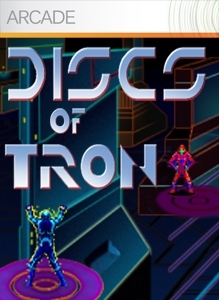 The electronic battleground of Discs of Tron© transports you into an exciting world of sight, sound, and energy. 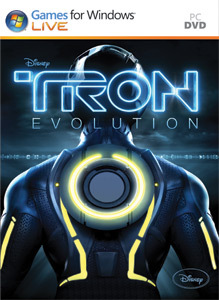 Take control of Tron as he enters the arena to fight against the evil Sark. Armed with only his disc weapon and limited deflector shield, Tron must withstand Sark/'/s multiple attacks to survive all 12 levels .. In Disney/'/s Bolt, players take on the heroic personas of the TV star dog, Bolt, and his owner, Penny, from the high-action television series featured within the film. As Bolt, players can use his superpowers, including laser vision and his superbark, which sends out a sonic blast to devastate opponents, and as Penny, players utilize stealth, hack..
Zip, race and blast as you take Wall-E and/or Eve through a fast-paced adventure in the newest Disney/Pixar blockbuster movie, Wall-E. Explore 10 worlds filled with non-stop action and adventure, carry out intense missions, dodge dangerous enemies, solve puzzles and navigate your way through a futuristic world. [ul][li] Relive key action-p..
Disney Sing It is a video-based karaoke game that features a mix of popular fan-faves and the hottest new Disney artists. The first game in this rockin/'/ new franchise features songs and videos from Hollywood Records artists, Disney Channel Original Series and Disney Channel Original Movies. Players can belt out some of today’s chart topping tunes..
High School Musical 3: Senior Year Dance lets players experience the music, familiar locations and popular characters from all three movies, including the upcoming "High School Musical 3: Senior Year." Players take the role of Troy, Gabriella, Sharpay, Ryan, Chad or Taylor, or can customize their own Wildcat, using a variety of outfi..
Disney Sing It: High School Musical 3: Senior Year is a karaoke-based video game that allows players to perform 10 memorable songs from the film High School Musical 3: Senior Year as well as selected songs from the first two High School Musical movies. Players can perform with their friends or sing solo with the stars. Players can also select any s..
Turok developer Propaganda Games is working on Tron Evolution, the forthcoming film Tron Legacy, due out in December 2010. .. Follow a magic broom in order to locate his paint brush in Epic Mickey 2. [b]Features[/b] [ul][li] All in-game characters - most notably Oswald The Lucky Rabbit whose voice will be heard for the first time ever - are fully voiced by the official voice actors of those characters[/li] [li] Players will experience Disney/'/s forgotten..
For the first time, Just Dance in collaboration with Disney are bringing their universe and their know-how to create the perfect dance game for the whole family. [b]Just Dance: Disney Party[/b] is the game that makes you dance like a star of beloved Disney Movie Classics and Disney Channel’s hottest TV shows. Enter an interactive world inspired by .. In Disney Infinity: Marvel Super Heroes, players will use real-world interactive Marvel figures to activate original storylines (Play Sets) in the virtual game worlds of some of Marvel’s most popular franchises, including The Avengers. 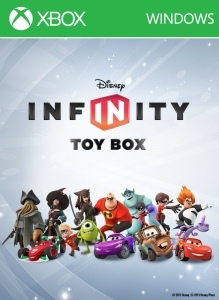 In the Play Sets – penned by award-winning Marvel comic writer Brian Michael Bendis – players will be able to take..
Disney Infinity: Toy Box for Windows 8..